Starting Monday, Prime Minister Modi will begin his fourth trip to the US since taking over the premiership. The three day affair will be all business and a subdued affair, in stark contrast to his first visit back in the 2014 that saw the Madison Square Garden extravaganza. The visit might appear banal, commonplace and might not stoke the imagination of the Indian public, but a closer examination at the agenda belies this assumption. 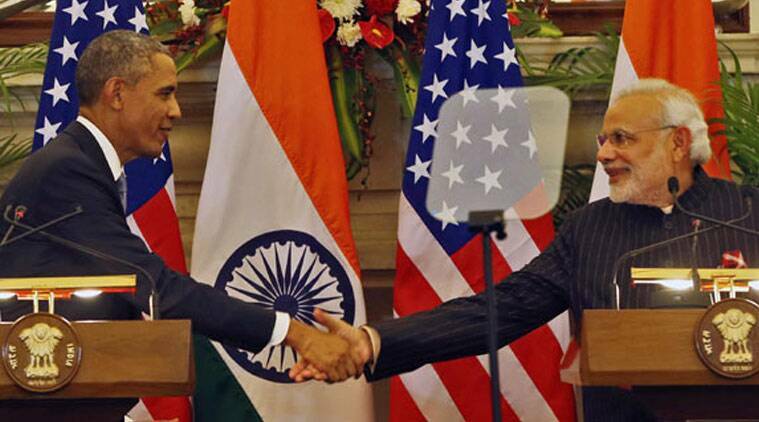 To state that the Obama-Modi partnership has exceeded expectations would be an understatement. Straight after the 2014 elections, there was considerable trepidation on both sides that the Indo-US partnership would stagnate thanks to the infamous visa issue. Both PM Modi and President Obama have taken considerable steps to assuage this concern, but more importantly, have built a personal rapport that seemed impossible just a few years ago. This will be an important relationship going forward as Obama will have a considerable influence among the Democrats even after the end of his term, and would be a key ally in building up pro-India sentiment in the US Congress like-minded peers.The trip comes at the right time for one final meeting between the two heads of Govt. before Obama begins his final six months in office and attention shifts to the presidential campaign. Despite not being officially classified as an ally of the US, India enjoys a priveliged status of sorts, especially with regards to defense. The US and India are natural allies, and co-operation on both sides will be seen as key to counter the growing dominance of China in Asia. The past few weeks has seen China taking anti-India positions with regards to the Masood Azhar issue, and its opposition to India’s membership of the NSG. This can only be countered if India establishes closer ties with the US and other allies such as Japan. The NSG membership in particular is poised to be a diplomatic quagmire, with China’s obstructionist position, and its push for Pakistan into the priveliged club. Washington has steadily backed India’s bid to the NSG, and a reaffirmation by President Obama in the next few days will only help India’s case, backed by support from other countries in PM Modi’s trip, such as Switzerland and Mexico. India is also expected to enter the missile tech control regime which will allow it access to state-of-the-art ballistics, in particular the predator drones, which were used in operations against the Taliban. Despite the predictions of naysayers, Make in India has seen significant action since its inception, attracting record levels of FDI. There is always room for improvement however, and despite the stellar GDP numbers, job creation hasn’t been particularly great the last fiscal. PM Modi has done an excellent job of selling the India story, and one hopes that his meeting with the business community on Tuesday would assuage concerns of persisting red-tapism, and inability to pass key reformist legislation such as the GST; and see more investment in India, particularly the manufacturing sector. The piece-de-resistance of the US visit will be an address to the US Congress which is expected to see record attendance by legislators from both parties. India has enjoyed substantial support from both Republicans and Democrats, and this would have to be reaffirmed before the country goes to polls in November. With the primaries slowly winding down, it’s all but clear that this is going to be a Trump vs. Clinton battle, despite both candidates having historically low approval ratings. Going forward, this could potentially translate into a strongly divided Congress, which might struggle to achieve consensus to pass key legislations. India should try and ensure that a polarised house does not affect its interests negatively, and this can only be done if there is bipartisan support, irrespective of which President is in power. PM Modi’s address to US Congress is an important step in the right direction which while appearing as mere optics for now, will surely pay dividends in the coming years. The Indo-US partnership has seen many ups and downs since its inception. Under PM Modi it has only seen ups and his current visit to the Land of the Free will only take it forward. Post liberalisation, India has been one of those rare countries that has managed to walk the tightrope between global superpowers and enjoyed goodwill from most nations. In a multilateral world though, it can no longer afford to indulge in delicate balances, but must sprint at a rapid pace with a strong partner if it wishes to be a true leader in the 21st century. The United States of America can be that running mate.